Booklet, 6” x 9”, 32pp., “Letter of General Benj. F. Butler, to Hon. E. R. Hoar. 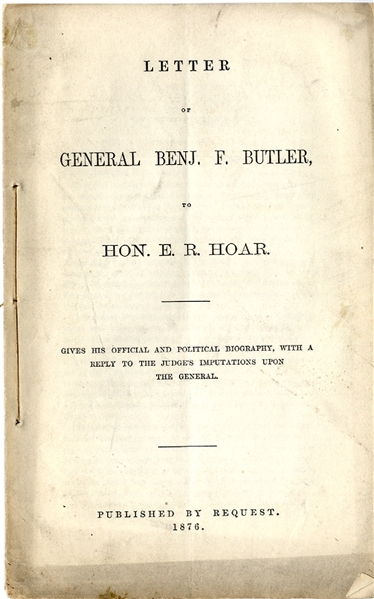 Gives His Officcial and Political Biography, with a Reply to the Judge's Imputations Upon the General”, 1876 “Published by Request”.